Point cloud is a set of data points in some coordinate system. In a 3D coordinate system, these points are usually defined by X, Y and Z coordinates which often represent the external surface of an object. It can be produced with three-dimensional scanners. The measurement with laser scanners and working with point clouds offer many advantages. If there is a good preparation in terms of hardware and software the organization can achieve a good result. Hardware Specification: i7 processor- (64 bit or equivalent), internal memory- Min. 8 GB (16 GB preferable), True Colour display adapter 1 GB RAM, Minimum 101 GB HDD space (after saving point cloud viewer and installation) and 64 bit operating system (windows 7, 8….). For large projects the system will function more slowly than smaller point clouds. So it is essential high configuration machine for doing larger point clouds. Also need a good quality 3D scanner. At American Institute of Architects Convention 2015, two leading BIM software developers Nemetschek’s Vectorworks and Graphisoft’s ARCHICAD announced that the software users will be able to import laser scan point cloud data very soon. 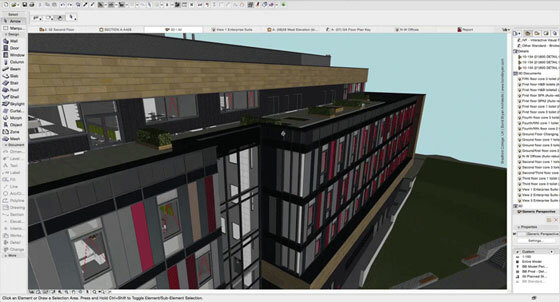 Autodesk’s Revit was the first software to introduce this feature with its 2012 version. Now there are more upgraded options available in BIM platform, so let’s watch how it will affect the industry and users. It is a great opportunity for Vectorworks and ARCHICAD users to get the ability to verify and model existing conditions more easily. Nadia Anis, Principle Architect with Ferrari-Moe, LLP Architects | Engineers in San Rafael, California uses Vectorworks in practice and has been a great promoter of bringing laser scan data into her projects since the inception of the technology. She said that the ability to bring the point cloud directly into their modelling software will be a tremendous advantage for them. Ferrari Moe has vast experience working on heritage projects as Nadia does, also serves as the Chairperson on the U.S. Institute of Building Documentation’s (USIBD), Heritage subcommittee (www.usibd.org). Mr. Sean Flaherty Nemetschek Vectorwork’s CEO said their goal is “to bring back design to architects”. He also stated “this construction industry has to change by using the same technology as manufacturing. Prefabrication favours software. Building a product that’s ready for this is the future.” Nemetschek Vectorwork’s CTO, Dr. Biplab Sarkar supported Mr. Sean’s word. “How the software users being able to visualize point cloud data submit a real way for designers to model without difficulty and affordably with more accuracy than before. It helps making modelling and referencing data much easier.” – Dr. Sarkar describes. The latest version of Vectorworks alias Vectorworks 2016 will be released on coming September. It will be the first version of Vectorworks to support point cloud data. This is great news for professional that works with ArchiCAD 19, Graphisoft’s upgraded BIM software. It has the capability to perform easily, efficiently and quickly with various types of architectural BIM models ranging from design to implementation. ArchiCAD 19 can be applied to draw a point cloud in ArchiCAD. 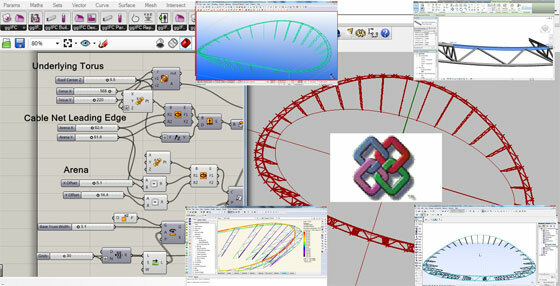 The point cloud and ArchiCAD can be interlinked through a software program called Points4BIM. So, it becomes possible to deal with point cloud as well as landscaping. Graphisoft has introduced the concept of tabbed workspaces which work in a very similar way to tabs in a web browser, but each tab contains a workspace. This makes it much easier to flip between sections, model view and drawing view. Applied Software is one of the largest Autodesk resellers, founded in 1982, is a recognized technology systems integrator that serves the AEC and manufacturing organization. It provides planning and better solutions to help manufacturing, architecture, engineering and construction organization in advancing their business procedures and work process. 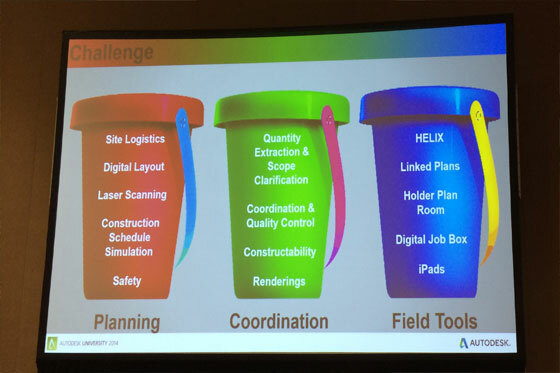 In the Revit® Technology Conference North America 2015 (RTCNA, Autodesk Platinum Partner, Applied Software, has declared the inclusion of various new products to its wide range of software lists. These newly launched applications will help the organizations to get more benefits out of their business procedures and provide superior workflows for the construction of projects. The new building solution allows program managers, architects and engineers to solve many underlying issues that have negative impact on collaboration, time and budget. The newly launched products at RTCNA Exhibitor Booth No. 36 are Revit Prolog RFI Integration, Viewpoint Sync and Windows Sync. Revit Prolog RFI Integration is a unique feature of Revit. It graphically integrates RFIs (Request for Information) with the objects which are created with BIM (Business Information Modeling) program. This solution gives more effective approach to track issues by permitting them to make a persistent, direct link to objects in the building model (e.g., the area of an electrical outlet). Professional can now consequently operate to the building model, create or select an issue or problem, make inquiries and add data to a punch list. The software saves times through terminating the back and forth manual look ups available in RFIs. The feature is now available for all upgraded versions of Revit. Viewpoint Sync is another inventive solution for marketplace which transfers uploaded documents to the library of BIM 360 field, a cloud based field administration work that incorporates a mobile app at the point of development with collaboration and reporting. This item reduces reiterations by synchronizing and storing documents via a single platform. Professionals are utilizing it to ensure that the upgraded versions of documents are available simultaneously to all the project team members who work co-actively. It also reduces the possibilities for potential mistakes and miscommunication. This is now available for Professional. Windows Sync is a unique product which consequently selects documents for uploading to Windows Explorer and accommodating them with BIM 360 Field. On the other hand, Windows Sync facilitates the two-way transmitting of documents – from Windows Explorer to BIM 360 Field and contrariwise. It also works with other storage services like Dropbox to upload and adjust the to the BIM 360 Field library. It has the capability to work with FTP sites and network devices where Windows Explorer runs from backside. The solution is perfect for project managers to explore for a new idea to reduce redundancies, omissions and miscommunications amid the personnel associated with construction project. It is now available on market. BIM is a short form that stands for building information modelling process. But this acronym includes many more definitions and processes which briefly explain the diversified functionalities of BIM. Tom Payne, the Co-Founder of B1M, has listed down most crucial top 10 acronyms which will facilitate BIM users to learn the fundamentals of BIM quickly and easily. BIM: (Building Information Modelling) Building Information Modelling is a new way of approaching the design and the documentation of building process. BIM collects all the building data and organized them into a model based database for digital reprentation. IFC: Industry Foundation Classes (IFC) denote the open and neutral data format for open BIM. IFC is developed by BuildingSMART. IFC provides the internationally recognized standard for exchanging data in a broader way. It makes the difference between BIM and open BIM. LOD: (Level of Detail) LOD identifies the existence of graphical or 3D data inside an information model to some specific point of a project. Basically LOD is applied to geometry detail only. The complexity of a 3D object representation is decreased in the account of LOD. In levels of definition, both the terms like Levels of Detail and Levels of Information are included. LOI: Level of Information alias the amount of non-graphical data exist in an information model at some particular stage. There are four types of BIM levels Level 0 BIM, Level 1 BIM, Level 2 BIM, Level 3 BIM. MIDP: It refers to (Master Information Delivery Plan) and it is originated out of the BIM implementation plan. It is prepared to find out what information should be transmitted and in what format as well as the timescales and who will be responsible for implementation. It is the primary plan for the preparation of the project. MIDP involves schedules, specifications or other 2D documentation. BIM EP refers to BIM Execution Plan: It is one of the most important elements of any successful BIM project. This document is distributed & abided by all the project stakeholders. It defines how all the project stakeholders will work in tandem for conveying the needs of the EIRS. It is a plan prepared by the suppliers to explain how the information modelling aspects of a project will be carried out. The intent of this BIM Execution Plan is to provide a framework that will let the owner, architect, engineers, and construction manager to deploy BIM technology and best practices on any project faster and more cost-effectively. EIR: EIR refers to Employer’s Information Requirements. At the initial stage of a project, Clients or Employers outline the required information in this document. This document will be helpful for clients or employers to undertake decision concerning their requirements at the final stage of the project as well as their requirements at the time of disposition to optimize the functioning of their new asset. With this document, the project teams can get clear ideas regarding necessity of graphical and non-graphical information. PIM & AIM: Inside a BIM progression, Project Information Model is created with precisely developed and perfectly connected both graphical and non-graphical information data. The information model is known as the “Project Information Model” or PIM throughout the delivery stage, and an “Asset Information Model” or at the time of completion & disposition of a project. CDE: Common Data Environment denotes a cloud supported common digital space accessible by project team online. The Common Data Environment (CDE) acts like a single source information hubfor the project that facilitates the team members to accumulate, control and distribute documentation containing the graphical model and non-graphical data for the whole project team. PAS- 1192: Publically Available Specification 1192 specifically designed for the delivery stage of construction project that is managed through BIM. In this stage most of the graphical data, non-graphical data and documents are gathered from design and construction activities. Organizations can use a PAS to improve productivity, increase efficiency, reduce costs, maintain quality or speed up innovation. 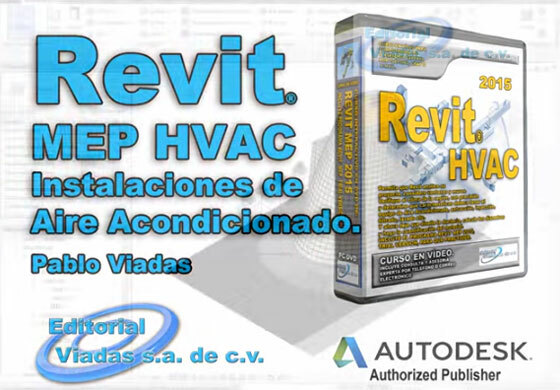 Editorial Viadas offers a very informative tutorial for Revit users that highlights how to use Revit MEP 2015 for creating design and estimation of ventilation, air conditioning and heating. Evaluate any project, giving importance on windows and walls. Create ductwork design, estimate diameters as well as the material. Design and estimation of ventilation, air conditioning and heating. Perform energy analysis within the project involving the architectural geometry, orientation and degree of insolation. Perform with the materials, glazing and insulation. Perform analysis on the basis of the geographical location and atmospheric and seasonal factors which can provide impact on the project. Get the requirements and specifications out of these data to suggest the most authentic conditioning equipment. Once the equipment is set up, Revit can work out trajectories diameters and ductwork. To end with, obtain the perception of planes through an automatic labeling concerning the characteristics of products, equipment and connections. Multivista South Florida, the most recognized visual construction documentation company, in Delary Beach is now is making alliance with Hunt Construction Group to integrate its photo documentation with its BIM project model. HCG manages various construction projects in South Florida and has developed its service through amalgamation with Multivista’s latest technology. With this consolidation, project photo documentation can be connected directly with Autodesk®, Revit®, Navisworks® and BIM 360 TM Glue/Field. The Multivista BIM unification program was initiated in April 2015 which transforms Multivista’s client documentation to their BIM model for making comparison between physical and modelled conditions. As per opinion of Pat Delano, G.M.,Hunt Construction Group, photographic documentation is useful to communicate in real time and the owner can get the detail information concerning what was set up for operating purpose in near future. Besides, by integrating photos to the plans, it becomes possible to settle a specific area or issue in quickest possible way effortlessly & efficiently which bring huge advantage to all project stakeholders. Mutual application of authentic & complete construction photo documentation and BIM technology is broadly acknowledged as it provides the best solution to the construction industries. As per opinion of Kyle Goebel, Assoc. DBIA, virtual construction Engineer for HCG, QA and QC process has been greatly streamlined with the application of Multivista’s BIM integration program. Multivista® Photo documentation can be directly accessed and synchronized from cloud-based BIM model through BIM 360 TM Glue. The actual position of photo documentation can also be verified all through the coordination meetings and it helps the project team members to check the condition of construction devoid of visiting the jobsite physically as the verification can be done with the photos linked to the BIM model. It saves significant times for the project team members. Multivista expanded the program co-actively with their clients who made a huge investment in BIM workflows. BIM (Building Information Modeling) becomes more popular in today’s construction and architecture fields and the experts need to complete their errorless projects in short time with low cost. The professionals, who mainly deal with operations and maintenance phase of a building’s lifecycle, are generally accustomed to preserve the information on paper and spreadsheets. Here data is entered manually and so the data is not stored electronically which is laborious and leads to lots of errors. Autodesk just launched their BIM app (Building Ops App), a legendary step in enhancing the application of BIM in design & construction stage. This newest BIM based app can significantly impact the handover experience, delivering operations data gathered throughout the BIM-based design and construction phases of a project to the hands of the team who are mainly responsible for managing the construction from the initial phase. Autodesk Building Ops refers to a web and mobile supported maintenance and asset management solution that can facilitate the general contractors, mechanical and electrical specialty contractors, and building owner/operators, to deliver BIM asset data to the building owner through BIM 360 Field at the time of abandonment of the building. New and retrofit building projects which are designed inside a BIM workflow, includes lots of vital information. This information is utilised in managing building operations as well as preserving asset. Building Ops provides a new method for expanding BIM value during the whole building lifecycle that range from design and construction, via operations and maintenance. The building owners and generate contractors are benefitted with utilization of BIM data for the enhanced operations workflows as well as superior management of their facilities. 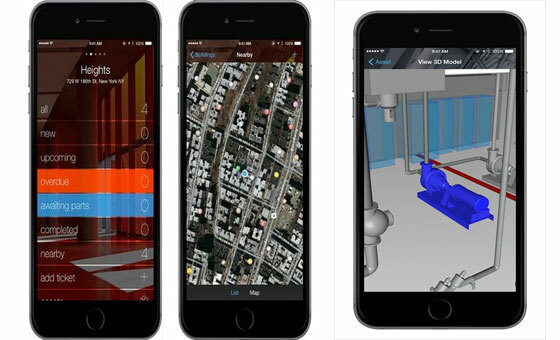 Autodesk Building Ops is accessible all through the globe and can be from the Apple App Store. For getting further information, visit the Autodesk product webpage. Want to complete your Residential and Commercial Building Projects Quickly: BIM will Helps You. Now Technology is everywhere and brings comfort to human beings and takes an important part to our daily life. It also takes an important part in the field of architecture, engineering and construction (AEC) Industries. .
Building information modelling (BIM) is a process by which the AEC industries professionals are completing their projects in a short time. The experts are now using correct and upgraded technology (Tools) for construction across the world. Mechanical, electrical and plumbing (MEP) is one of the part of BIM process. MEP relates to Air handling units, Water pumps, Drainage Pumps, Fire fighting equipments etc. installing and design. The models of buildings are totally digitalized and made through Revit models. The model is used for clash tests and building construction professionals resolve the clashes by required changes to the design. And when the problem resolved the design, quality of the building reach to a bench mark. So if the BIM process is follows properly and proper information provide to AEC experts, construction projects can be completed very fast with supreme quality.